Still space to take a box, pallet or even a full load? Turn empty space into earnings! Use the Vengo app to browse through the transport requests and check the details. Found a shipment that could work? Send a proposal to the shipper. If you come to an agreement, you can quickly make specific arrangements! Vengo helps you to find one or multiple shipments that you can combine with your current load. Fill the empty space in your van or truck and earn more without driving extra kilometres. Did you come to an agreement to transport something? Keep the client/shipper always informed by completing the right steps. This way, you can guarantee a 5-star service! Is Vengo available to any kind of carrier? Discover quickly if you can benefit from Vengo! Are you often on the road, and is your trunk or back seat always empty? Have you ever considered becoming a courier? Vengo is working hard to soon offer you the chance to get a taste of the courier business without having to start a company first. This will be done within the framework of the new legal rules for the collaborative or sharing economy. We will keep you informed! Are you a self-employed driver or carrier, and do you have one or more vans or trucks? Then you are the perfect person to benefit from working with Vengo. Are you on the road and do you have space for an additional load? Check the Vengo app, find additional freight and send a quote. If the order is assigned to you, you can offer the customer a professional and reliable track & trace solution through our platform. Does your company work with a central dispatch that controls all trucks and sets the prices? 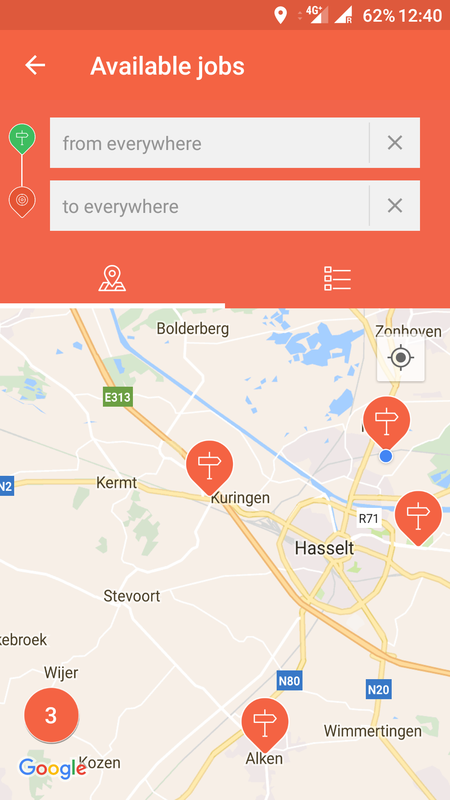 For larger transport companies, Vengo might not be the most user-friendly solution. 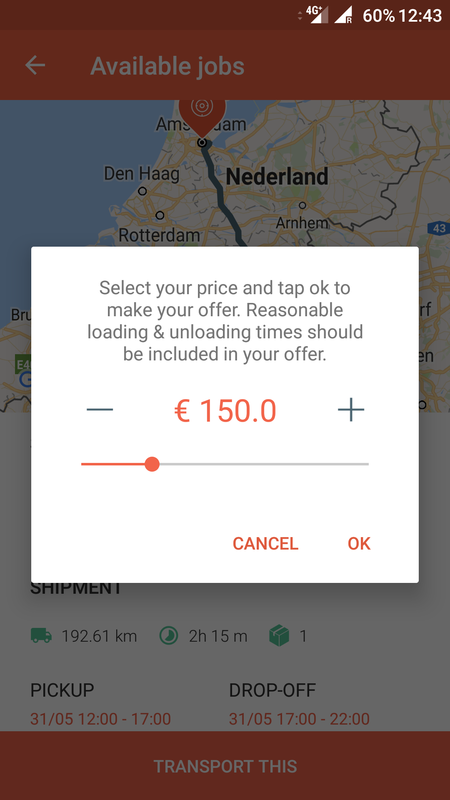 You can only arrange the transport via the Vengo app, where you yourself need to find the freight and offer a price proposal. 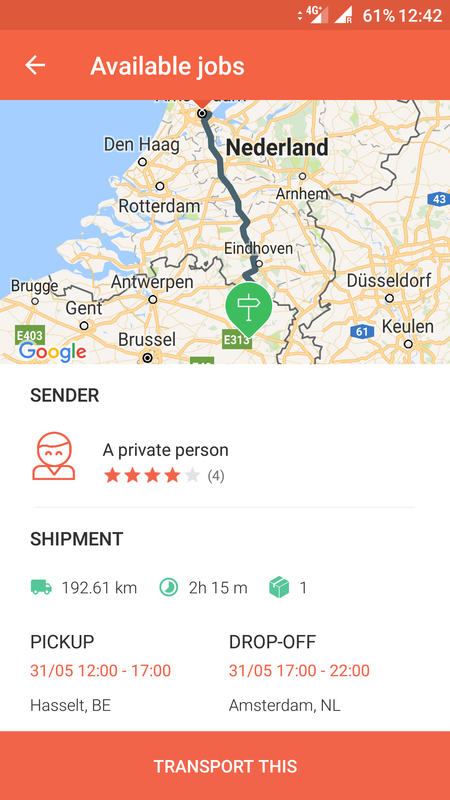 In addition, the device that you use to accept the assignment needs to remain with the shipment to enable the track & trace possibility from collection through to delivery. The prices of transport are already very low. Is your approach still healthy for the market? Vengo ensures that you as a driver or carrier can optimise the capacity of your vehicle even more. You can take more freight on your existing route or add in an extra route if you have time left. Vengo is certainly no market place where you have to enter competitive bids against various parties to finally reach such a low price that nobody is making any money out of it. Above all, it is our ambition to match shippers and carriers with each other and ultimately to create a win-win situation for everyone. How long should I wait for a quote to be approved? This depends entirely on the shipper. Some shippers put their freight online for a price estimate only and place it a second time online when the freight effectively needs to be shipped. Others wait until they have found a number of potential drivers before they decide. And still other customers decide already within 2 minutes. If I make an offer on various shipments, do I need to perform them all? The Vengo app makes it possible for you as a driver or carrier to cancel your offers at any time. However, once your offer is accepted by the requester or shipper, than there is in fact a transport agreement between both parties. In that case, you are expected to effectively deliver the service. Should you still be prevented for whatever reason, please contact Vengo via info@vengo.technology or +32 11 91 08 91 to work out a suitable solution. If you do not inform Vengo, then of course you are faced with an unhappy customer. In addition, the costs to arrange the extra transport will be charged to you. My offer has been approved, now what? Congratulations, the sender has selected you for his transport! Make sure to thoroughly check all shipment details once more, as now you will also receive the exact addresses and the contact details of the collection and delivery location. The Vengo app always allows you to send a message to the shipper or to call him/her to make specific agreements. In addition, do not forget to always keep your smartphone near, and to switch on the location services and data connectivity. 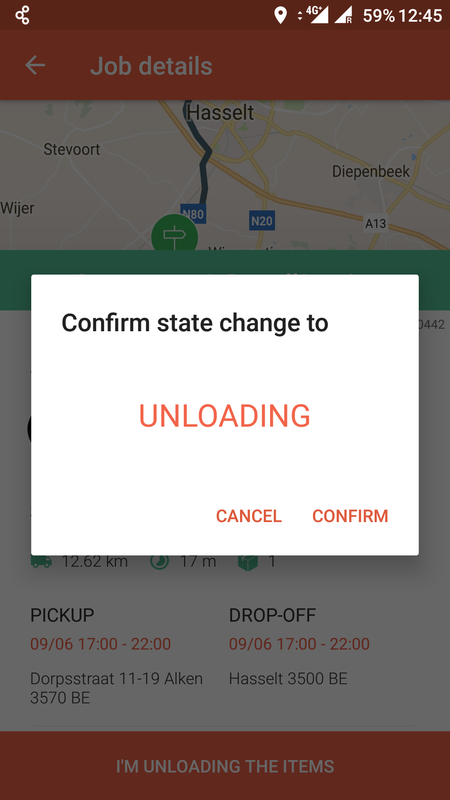 Change your status systematically in the app, so the sender can track the shipment. Do so at departure and at the time of collection, but also at the final delivery. How is the payment settled? Who pays me as a driver? Vengo collects the payment directly from the shipper. 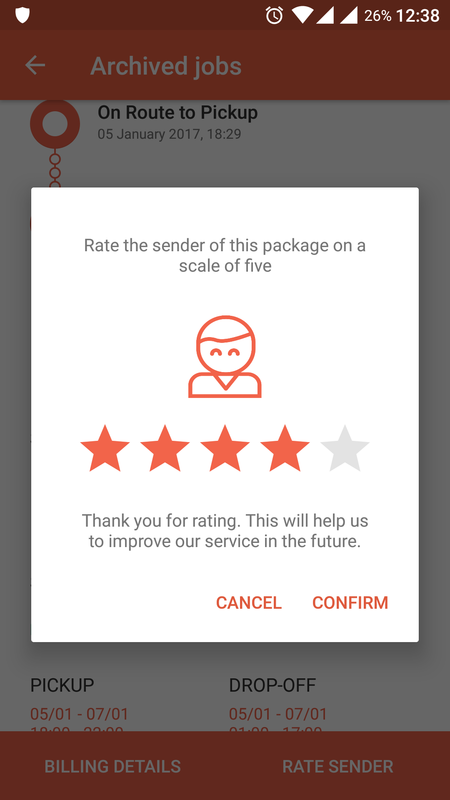 As a driver, you need to send an invoice to Vengo indicating the correct reference number that you will find in the app after final delivery of the shipment. Once your invoice has been received by Vengo, the payment period you selected when creating your profile starts. By default, the payment is made in cash within 30 or 60 days, as chosen. If you are paid in cash or if the payment term is 30 days, a margin is owed to Vengo. If you select a 60 days term, then no margin applies. What if I experience a delay or may not be able to perform the shipment at all. What do I do? When the shipment is already assigned or accepted by the shipper, you can no longer cancel the order. In case of unforeseen circumstances that prevent you from delivering the service, please contact the shipper to arrange an alternative date or time. If it’s impossible to work out an alternative agreement, please contact the Vengo helpdesk via info@vengo.technology or +32 11 91 08 91. What margin does Vengo charge? Vengo charges no hidden margins. The price you propose to the shipper, is also exactly what the shipper sees. Vengo offers an additional insurance to the shipper, next to the CMR risk that you cover as a driver. In addition, Vengo offers you the possibility to be paid in cash. In this case, Vengo pays you the amount in exchange for a discount. If you select a 60-day payment term, no margin is due.